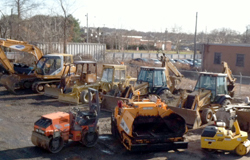 From Businesses of All Sizes to Condos, you will "Dig Us" from the Start! From Reclaiming existing pavement to new construction, V&F Paving will get the job done right! Curb Pavers are an Elegant way to Dress up your Driveway! Beautify Your Home with a Fresh New Driveway that is Paved to Last! Established in 1994 our goal with every commercial and residential paving project is, and has always been, to provide high quality work and unparalleled customer service. From your intial consultation through to the finished product, we work with you to guarantee your satisfaction. Because we work with both commerical and residential clients, our services span a wide range to fit any need. 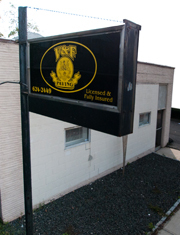 We've been priviledged to service large commercial lots as well as residential properties. Our #1 priority is to complete every job to meet the high standards of the company no matter the size. Aren't sure what exactly you need? We're happy to meet with every one of our clients to go over the various services we provide and how they can fit into your budget. At V & F Paving we put the client first, so that your paving experience is stress free. Don't take our word for it though, give us a call and find out for yourself. Once you speak to one of our experts you'll be happy you chose V & F Paving. "V & F Paving went above and beyond to give me the clean, functional driveway I've always wanted."